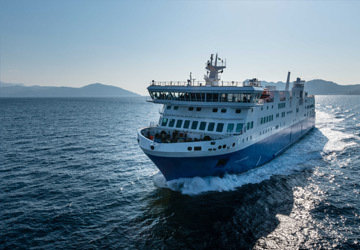 The Ios Thira ferry route connects Cyclades Islands with Cyclades Islands and is currently operated by 5 ferry companies. 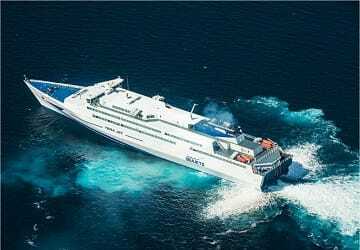 Minoan Lines operate their crossing up to 1 times per week, Blue Star Ferries 5 times per week, Zante Ferries 3 times per week, Sea Jets 4 times per day & the Golden Star Ferries service is available up to 14 times per week. 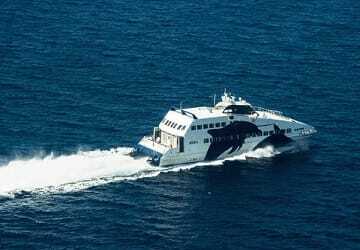 There are a combined 51 sailings available per week on the Ios Thira crossing between Cyclades Islands and Cyclades Islands and with 5 ferry companies on offer it is advisable to compare all to make sure you get the best fare at the time that you want to travel. Prices shown represent the average one way price paid by our customers. 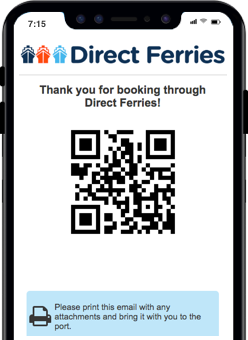 The most common booking on the Ios Thira route is a car and 2 passengers. 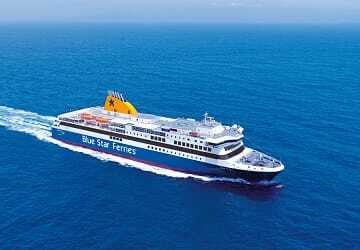 Fast service, good quality also during problems procedure (door locked) at the docking. 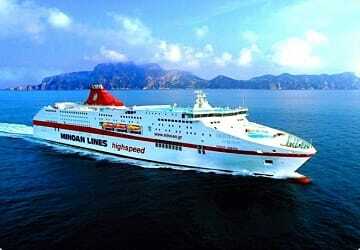 "great trip and on time"
short crossing, about 1 hour, good service, departure on time, fast boarding. Higly recommended! 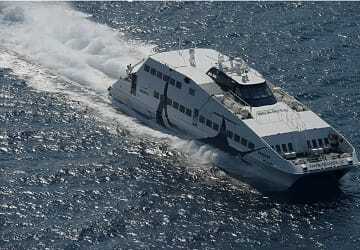 Top service on the high speed ferry of Hellenic. Punctual which is what you always hope for and everyone was friendly onboard too.